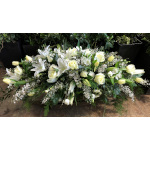 Funeral flowers by Moonstones Florist, Fareham. 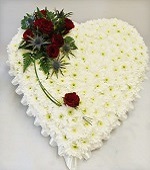 It is a sad part of life when we have to say goodbye to those we love and are close to. 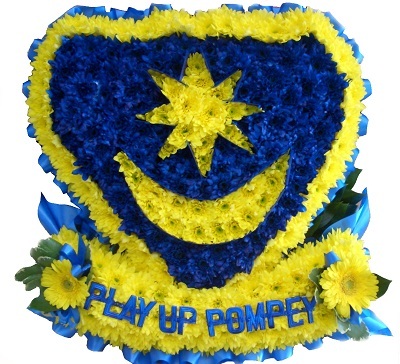 At this time of loss, flowers are often the most powerful way you can express your emotions. 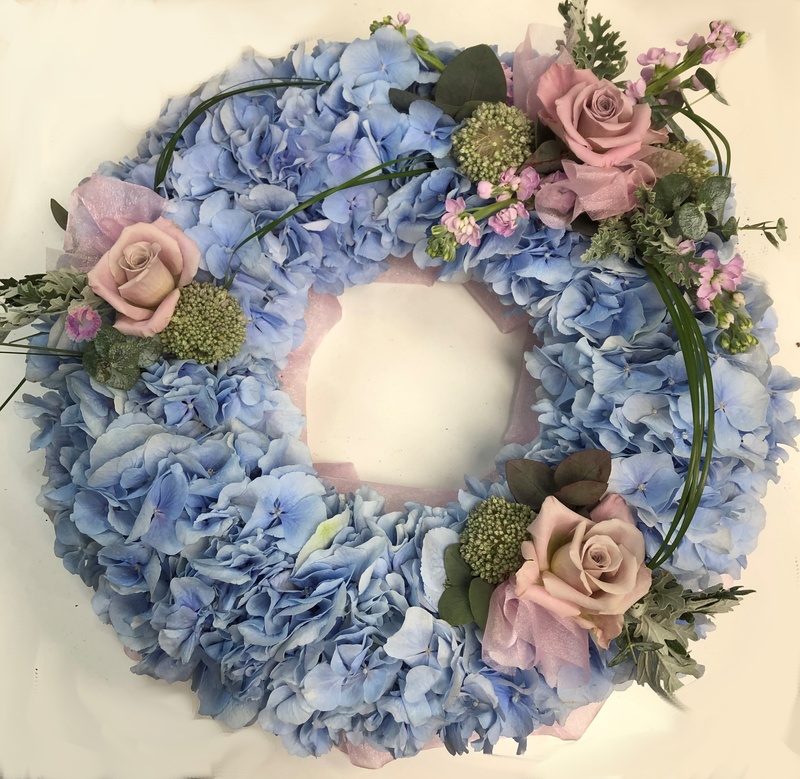 Let Moonstones help you say your farewell with a personally crafted tribute..
From a simple posy or tied sheaf to a pillow or wreath to a spray or completely custom creation, Moonstones can advise and create the perfect tribute. 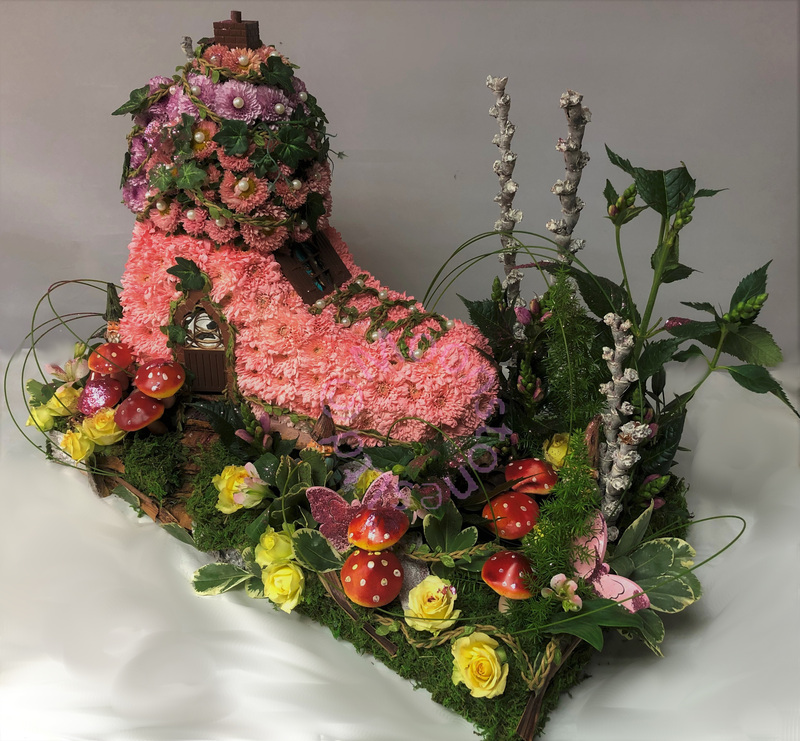 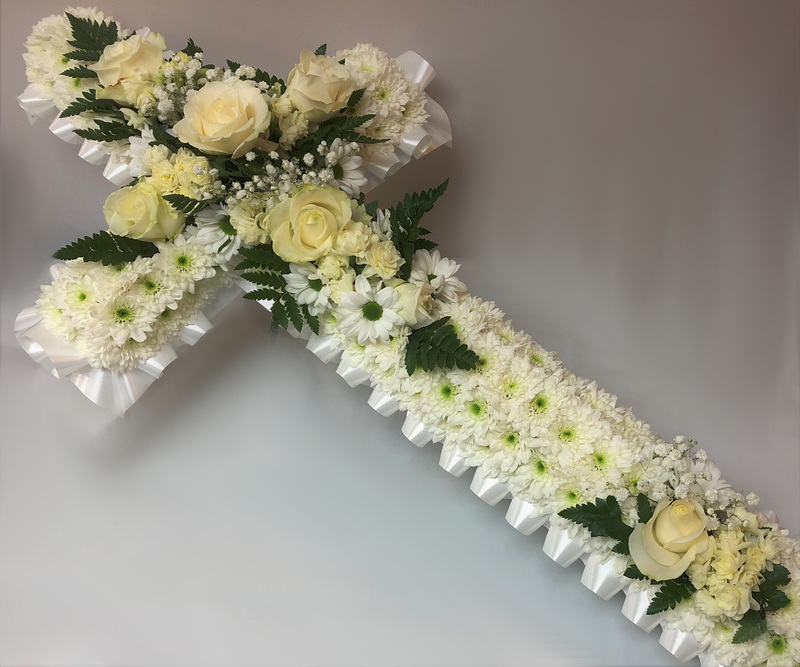 We can arrange with the Funeral Director, Crematorium or Church to deliver your tribute directly to them so your tribute arrives in perfect condition. 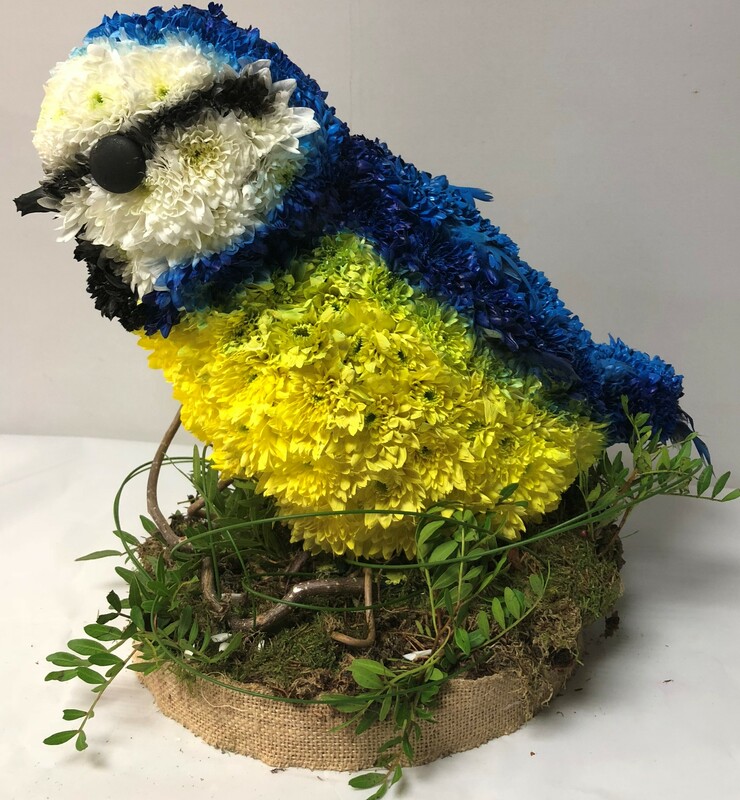 Arrangements in the shape of a loved one's favourite animal, or character can be a really personal way of saying goodbye. 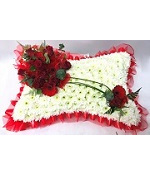 A couple of letters or a single word can be a simple but very powerful way of saying goodbye to someone cherished. 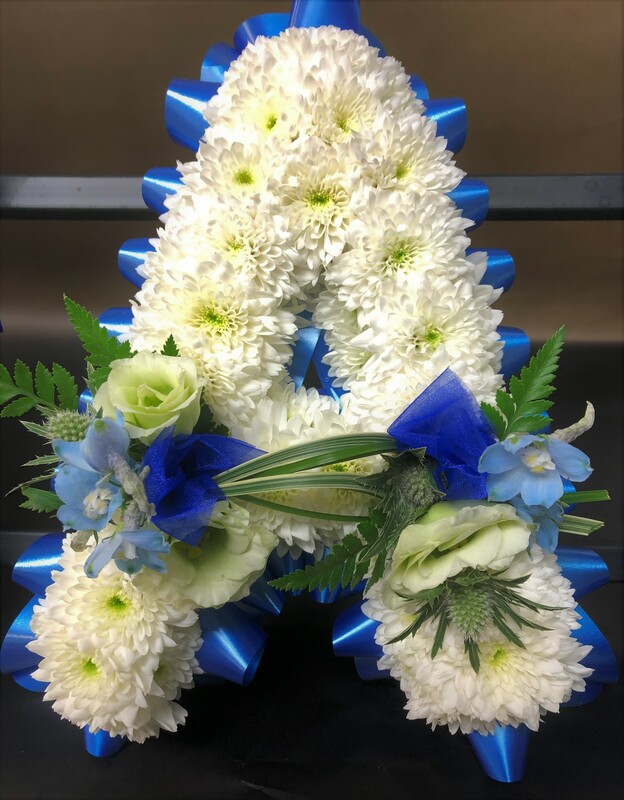 Other custom designed tributes for a really personal goodbye. 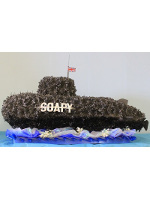 A lovely way to say goodbye to those who lived, worked or simply loved the sea. 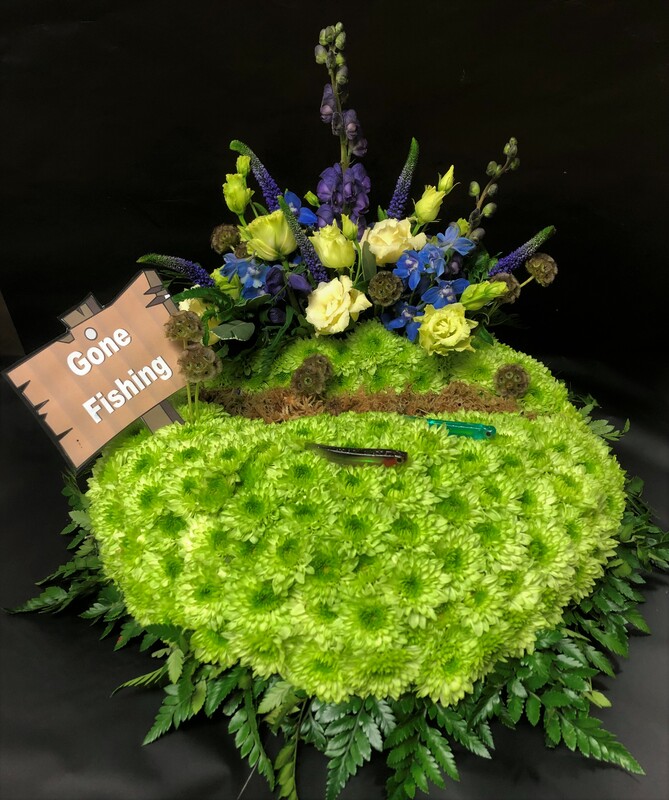 A personal way of saying goodbye to those who loved their cars, motorbikes, trains or planes.